Yokai Watch + Terminator Synergy! 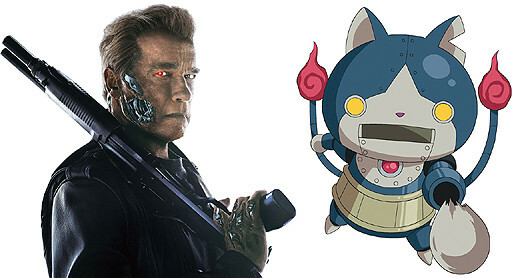 Just saw this a little while ago: Yokai Watch’s robot cat is going to be promoting the new Terminator movie. THAT’S how big this series has become 😯 I can’t remember if we’ve caught one of those robonyans or not in our playthrough yet. I think we got a gold one, though. Posted in Featured Tags: marketing, movie, yokai watch Comments Off on Yokai Watch + Terminator Synergy! Tomato Adventure Live Translation Begins! Try Our First Mario Maker Levels! Poemato CX Yokai Watch Finale!